There’s a fair chance that many of the people who read my columns will probably have to make a retirement speech at some time in the future. As the thought of public speaking gives most of us the horrors, here a few pointers that can make it easier. If you’ve already retired, some of these tips will help you with any speech you may have to give. Keep it short. Your co-workers are there to celebrate and are eager to make you feel comfortable and appreciated. Be considerate by speaking for no more than 10 minutes and keep it fairly light. Check the time before you start and don’t start waffling and go well over time. Tailor your talk to the audience. You’ll probably be talking to a mixed group of younger and older employees. You want to be interesting to both. So make some mention of workplace issues the younger workers can relate to. Employees closer to your age are more likely to be interested in your plans for your retirement years. Look at your audience and smile. Recall some early memories and the people who helped you along the way. Tell a few short stories about your initial struggles at the workplace and some of the mistakes you made. Your audience will relate to them.Poking fun at yourself is certainly appropriate; just avoid jokes or stories at the expense of others. Humility is an important part of a successful goodbye. Thanking people you’ve worked with over the years is a key to a great retirement speech. End by talking about what you’ll miss most and what this next stage of your life holds for you. A gracious finish should include a heartfelt expression of the sadness you’re feeling now that you won’t be part of the organization any longer. Feel free to share some of your plans and dreams, but don’t dwell on them. 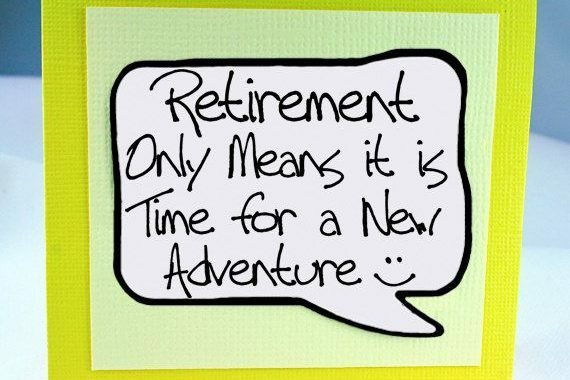 A well-crafted retirement speech is meant to comfort those who remain after you leave, not to make them jealous. One final tip: As with any public presentation, practice makes perfect. Your speech shouldn’t be ad-libbed and it shouldn’t be read verbatim. Put key bullet points on a few index cards to stay on track and on time. Then, give the talk aloud ahead of time to someone you trust who will provide honest feedback. Remember: A retirement speech is your final gift to a group of people who’ve been like family to you. If they enjoy the present that you deliver, you will, too.